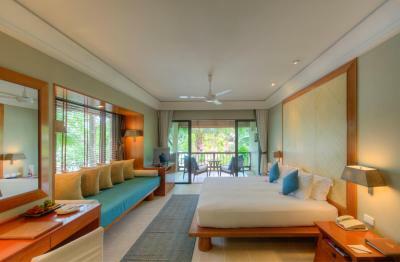 Lock in a great price for Layana Resort & Spa - Adults Only – rated 9.5 by recent guests! The food was amazing as well as the staff. They were most helpful in recommendations especially with the buffet. They had both authentic Thai as well as Western dishes. The Green Curry was the best!!!!! Beautiful grounds and location, comfortable room and clean. Excellent breakfast options. Had the best massage of the trip from Apple at the spa. The breakfast a wonderful, drinks great and the staff was what made the experience wonderful. They went above and beyond to make the trip amazing. The resort had a birthday cake ready and surprised him when we arrived for check-in. The staff sang and we all took a photo together. We later found the printed photo with a photo frame in our room. Hotel is very luxurious thought. Breakfast buffet was wonderful and staff was amazing. Devine. No kids! Yay! Privacy, excellent staff, fabulous spa, sparkling clean, they clean beach every day. We have discovered some excellent Thai white wine (Spring). Paradise on earth! This place is just sensational. My husband and I visited for our honeymoon. They greeted us with a swan, rose petal decorated room and a bottle of bubbles. We were so grateful for the adult-only peace and quiet and tranquility. The staff were amazing, the range of activities was great, the attention to detail was like nothing I’ve seen anywhere else. The food and cocktails were delicious. My husband and I have raved about this place to anyone who will listen since we left. The location is beautiful and the facilities, pools, spa etc were beautiful. I think what makes this place so special is the generous ratio of staff to guests and space and sun beds to the number of guests. And their very personal approach to everything. We felt like rockstars! Thank you! 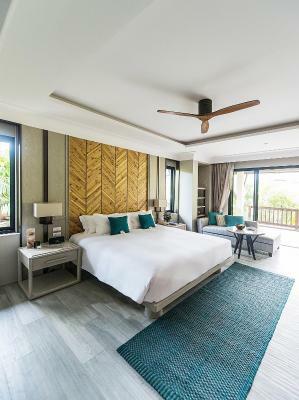 Layana Resort & Spa - Adults Only This rating is a reflection of how the property compares to the industry standard when it comes to price, facilities and services available. It's based on a self-evaluation by the property. Use this rating to help choose your stay! 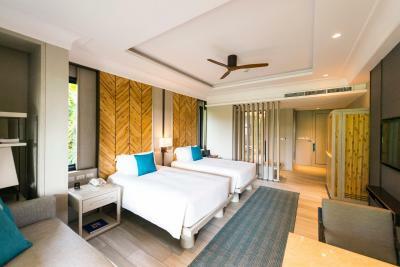 Surrounded by tropical greenery, the adult-only Layana Resort & Spa is located in Koh Lanta and overlooks the beautiful sea. 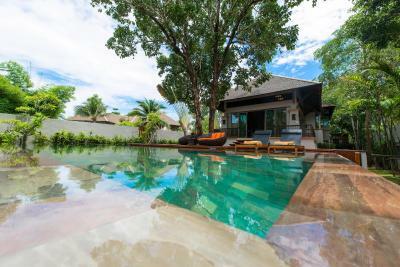 It offers an outdoor infinity pool and rooms with free WiFi. Guests can directly access Long Beach from the resort. 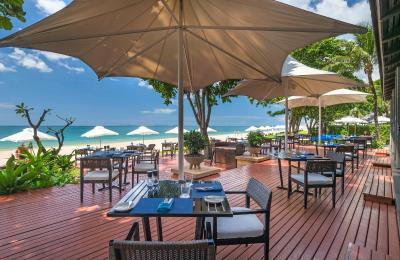 Located within Mu Koh Lanta National Park, Layana Resort is located on a white, sandy beach. 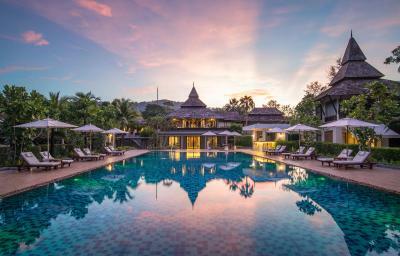 Krabi Airport is a 2-hour drive, or 43 mi, from the resort. A chargeable airport transfer is available upon request. 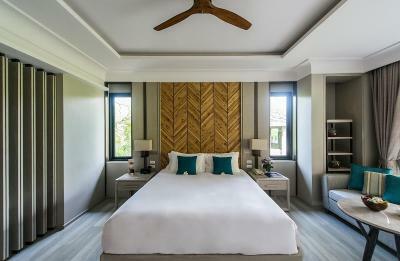 Rooms at Layana Resort feature modern Thai architecture and are decorated with silk and hardwood furnishings. 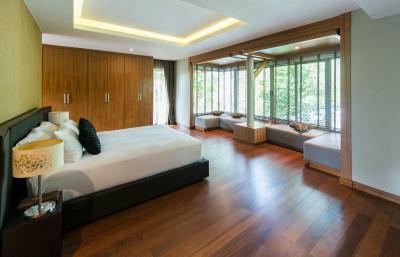 Each is equipped with satellite TV, DVD player and daybed. Private bathrooms have separate shower and bathtub facilities. Guests may enjoy an energizing work-out at the fitness center or relax with a book in the well-stocked library. 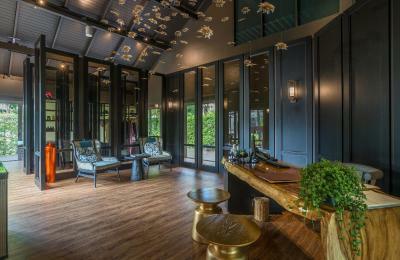 Set within a garden, the resort’s award-winning Linger Longer Spa offers pampering massage services and soothing facial treatments. 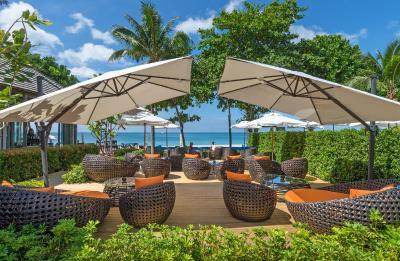 A wide range of international dishes, fresh seafood and authentic Thai food are served at SeaSky Restaurant which can be served by the pool or on the beach. Refreshing drinks are available at the bar. 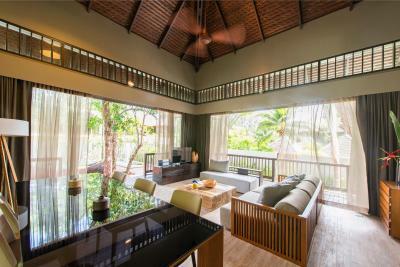 When would you like to stay at Layana Resort & Spa - Adults Only? 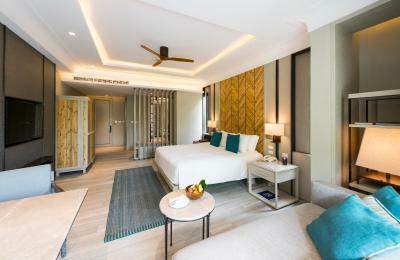 Room features a balcony, a flat-screen satellite TV with a DVD player and a mini-bar.An private bathroom comes with a bathtub, a hairdryer and free toiletries. The minimum age for guests staying at the resort is 18 years. 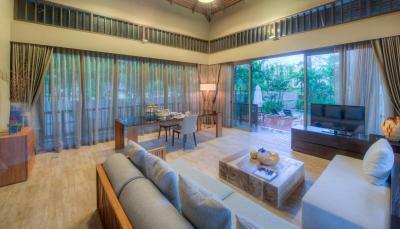 House Rules Layana Resort & Spa - Adults Only takes special requests – add in the next step! Layana Resort &amp; Spa - Adults Only accepts these cards and reserves the right to temporarily hold an amount prior to arrival. Layana Resort & Spa - Adults Only accepts these cards and reserves the right to temporarily hold an amount prior to arrival. Please note that the resort accepts bookings for adults only. The minimum age for guests staying at the resort is 18 years. 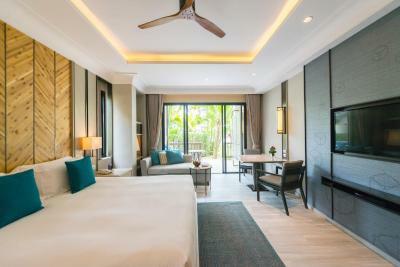 Transfer options have to be booked directly with the resort and are not included in the room rates. Upon arrival at Krabi Airport, guests are welcomed by a representative of Layana Resort & Spa before being brought to the resort. From May to October, the resort operates round-trip transfers using a minivan due to sea conditions. A one-way transfer usually takes at least 2 hours but can take even longer sometimes. Due to safety reasons, the resort does not operate any boats from 18:00 to 06:00 throughout the year. If you arrive at Krabi Airport after 17:00, you can still be brought to Layana Resort with the local ferries operating until 22:00. Bed was great. Setting was lovely. Could definitely do with a ceiling fan on balcony. Was lovely to sit out on balcony but without ceiling fan got to hot. The pictures of the hotel online did not look the same in real life. 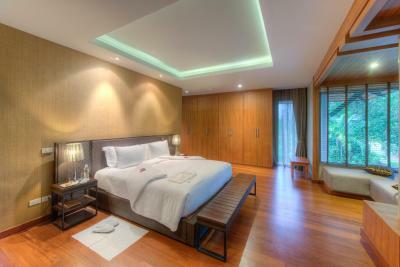 The pictures present the hotel as very modern and up to date and extremely luxurious, but it is not. With that said the room and hotel is nice, but certain elements in the are in need of an update/renovation. We stayed in a Garden Pavilion Double Room. This applies to basically the whole hotel. The crowd at the hotel was only +60 years. Not sure though if it is always like this but worth mentioning, so expect activities at the hotel being based on this. We got to the hotel earlier and got the room 1h earlier which was nice. 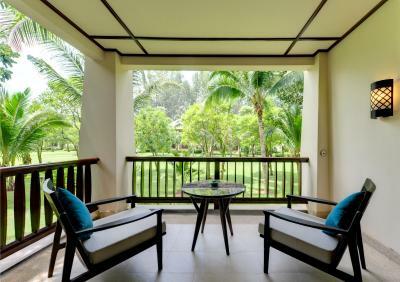 The room was big and spacious with a large balcony facing the garden. 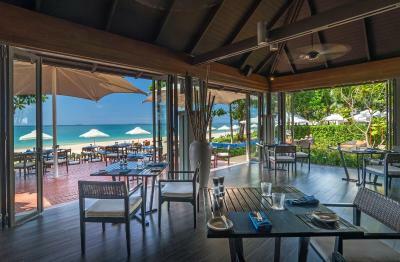 The location is right at the beach with access to other nearby restaurants if you want to try something else then the hotel restaurant. The atmosphere at the hotel is quiet and relaxing. The staff was very friendly and helpful always with a smile. They helped us arrange a day trip on request without any problems. We had 60 min Thai massage at the hotel spa which was amazing! You must remember to spray the insect repellant. I booked a night at Layana for the day I proposed to my girlfriend and it was the perfect place to stay. 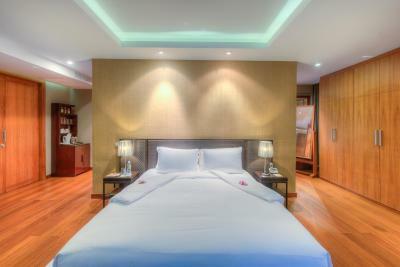 The staff were all so friendly and attentive, the room was spacious and super comfortable. They even arranged a private beach dinner for us for a very reasonable price, and the communication via email relating to this was very clear and professional. The breakfast was next level and we kept going back for more. Both pools are very nice - the upper one is usually a lot less busy than the beachfront one. We’d love to come back and would definitely recommend staying here for a special occasion or just for a relaxing getaway. The only fault I found was with the service at the pool/Beach - slow at times and sometimes difficult to communicate. The beer was very expensive outside of happy hour times, almost twice as expensive than anywhere else. We really appreciated the attentiveness of the staff, they were very friendly and helpful. The location of the property was ideal and very picturesque. Loved that it was adults only. The only thing we can say is that we missed a place in the shadow near to to the pool. The hotel is very clean and well maintained. The organization is perfect. All the staff is super friendly and helpfull. The two pools ar nice and the beach is clean. The food in the restaurant was good and not to expensive.